"Alouette!" The most popular Canadian folksong. It also has become a symbol of French Canada for the world, an unofficial national song identifiable from the first few measures of its lively chorus in 2/4 time. Marius Barbeau is of the opinion that "Alouette" originated in France, but James J. "Bluebird on Your Windowsill." Pop song by the Vancouver nurse (Carmen) Elizabeth Clarke (b Winnipeg 1911, d Vancouver 1960). The words (1947) were inspired by a small bird which perched on a windowsill of Vancouver's Hospital for Sick and Crippled Children. The melody was added later. The official theme song of Canada’s centennial celebrations, “Ca-na-da” (also known by its formal title, “Canada: A Centennial Song”) was composed by songwriter and trumpeter Bobby Gimby as a children’s marching song with English and French lyrics. "Canadian Idol." Reality television show, based on the British singing competition television show "Pop Idol" (2001- ), created by the UK's FremantleMedia and 19 TV, and produced by Canada's Insight Productions. "Early Morning Rain." Song by Gordon Lightfoot. Written in the summer of 1964, it recounts a lonely man's attempts to make his way back to a faraway home. "If You Could Read My Mind"
"If You Could Read My Mind." Song by Gordon Lightfoot. Written in 1969, "catches the cadences of a hurt lover unused to words that cut too close" (Maclean's, 1 May 1978). The song has been recorded more than 100 times, first in 1969 by the composer for his LP Sit Down Young Stranger. "Jack Was Every Inch a Sailor"
"Jack Was Every Inch a Sailor." A loose retelling of the biblical Jonah story with a Newfoundland fisherman as the hero, this folksong seems to have been adapted from the New York music-hall song "Every Inch a Sailor." 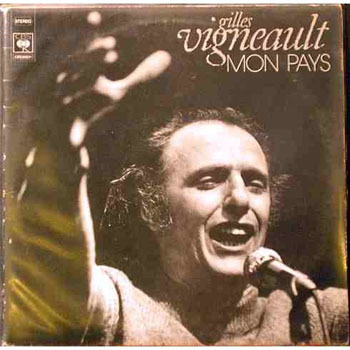 Originally composed as a theme song for a film, Gilles Vigneault’s “Mon pays” expresses nationalism, solidarity and connection to the northern landscape, and was adopted as a Québécois anthem. "She's Like the Swallow." Distinctive Newfoundland variant of a large family of songs about unhappy love. Both Maud Karpeles (1930) and Kenneth Peacock (1960) collected it, and its beautiful tune has made it popular with many singers and choirs. “Song for the Mira” is a contemporary folk song in the Celtic style, written in 1973 by Allister MacGillivray. Its lyrics speak of a longing for, and eventual return to, the serenity of the Mira River region of Cape Breton, Nova Scotia. Brought to international attention by Anne Murray and covered more than 300 times, the song has become a standard in the Celtic repertoire and something of an anthem in Nova Scotia. 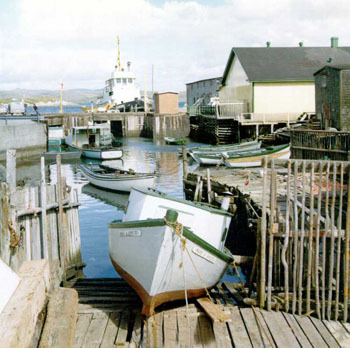 ​This account of hijinks on the squid-fishing grounds is one of Newfoundland's best-known songs. "The Anti-Confederation Song." This folksong originated around the time of the heated 1869 election in which Newfoundland was to decide whether or not to join the newly formed Dominion of Canada. "The Maple Leaf For Ever"
"The Maple Leaf For Ever" is a patriotic song composed by Alexander Muir in October 1867, the year of Confederation; both words and music are Muir's. Next to "O Canada," which it antedates by 13 years, it has been the most popular patriotic song composed in Canada. Next to "O Canada," which it predates by 13 years, “The Maple Leaf Forever” has been the most popular patriotic song composed in Canada. 'D'où viens-tu bergère?' Christmas carol in the form of a dialogue between a shepherdess who describes the scene of the Nativity (verse) and a throng which plies her with questions (chorus). 'Gens du pays'. Song written by Gilles Vigneault and Gaston Rochon for the 1975 St-Jean-Baptiste celebrations on Mount Royal, Montreal. Its popularity has made it almost a national anthem in Quebec, where it is sung frequently by crowds at rallies or on festive occasions. The 1985 International Bach Piano Competition/Concours International Bach de Piano 1985. Held in Toronto 1-12 May 1985, it was designed to commemorate J.S. Bach's tercentennial year, and to celebrate one of Bach's great interpreters by benefiting the Glenn Gould Foundation. 1989 International Choral Festival/Festival Choral International 1989. Month-long series of choral performances held in Toronto 1-30 Jun 1989, conceived by its artistic director Nicholas Goldschmidt. 2 Pianos 4 Hands. Two-person comedy-drama with music; semi-autobiographical show by the pianists-playwrights Ted Dykstra (b Chatham, Ont 1961) and Richard Greenblatt (b Montreal, 1952 or 1953). Directed by Bernard Émond and released in 2003, 20h17 rue Darling, like Émond’s earlier film La femme qui boit, confronts us with the disastrous effects of alcoholism.